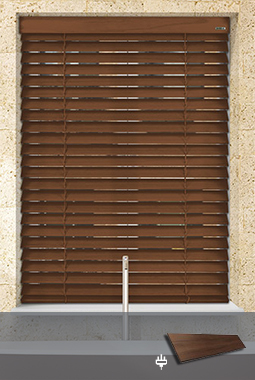 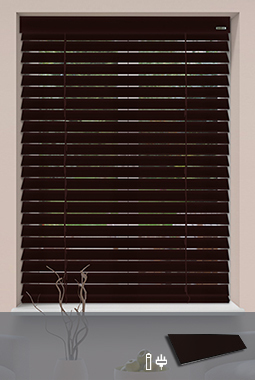 The Controliss Richmond 12V DC WireFree collection of eighteen on-trend painted satinwood and stained 50mm wooden slat finishes. 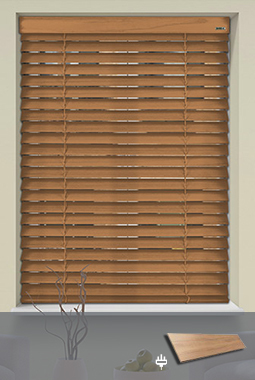 A true classic of interior design the Controliss Richmond wooden blind collection encompasses all of the most popular wood hues including retro modern classics such as our Arctic white, Soft white, Prairie white, Limed white and Metropole satinwood painted finishes. 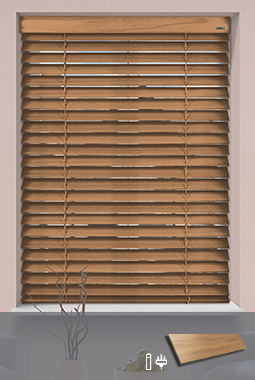 The Richmond collection also includes updated hues to our classic and timeless stained wood finishes that are equally at home in any modern suburban apartment or a traditional country home. 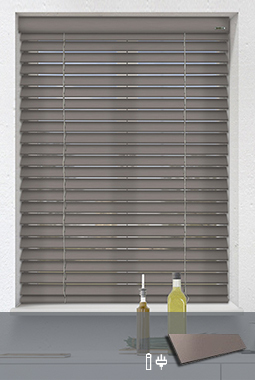 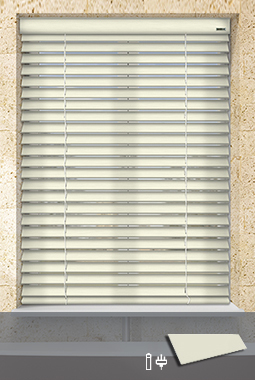 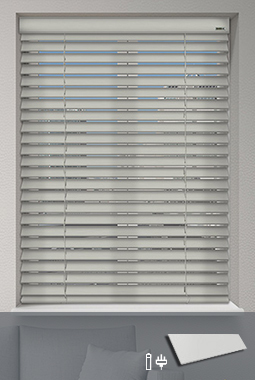 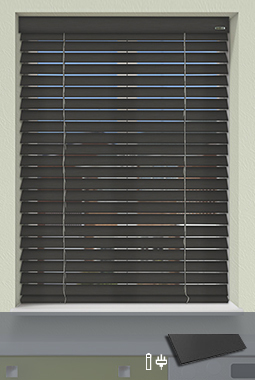 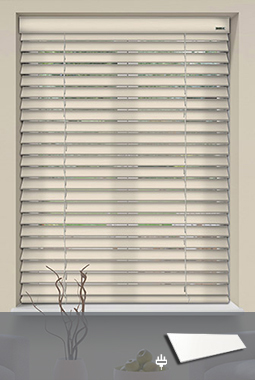 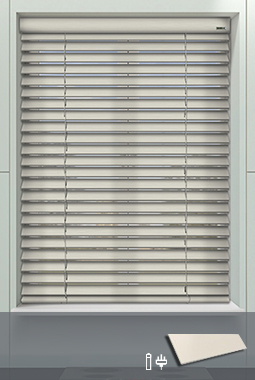 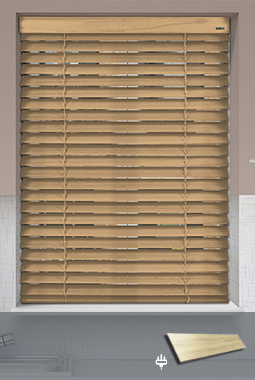 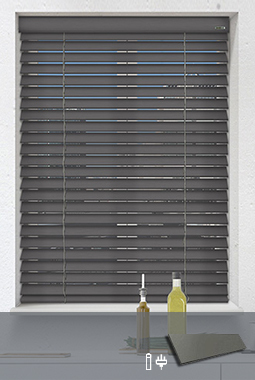 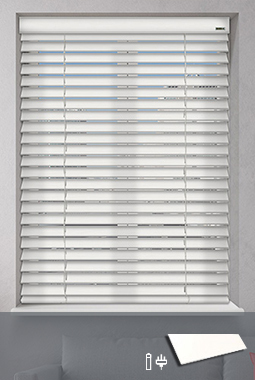 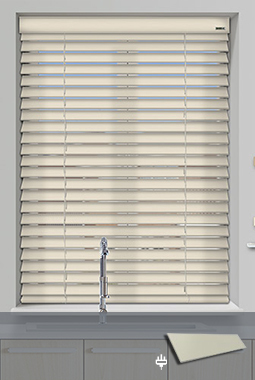 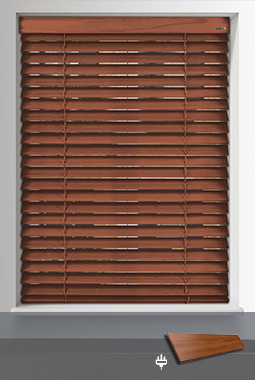 Richmond 50mm wide slat 12V DC battery powered electric wooden blinds feature fully functional remote control operation of raise, lower and slat rotation via a vast selection of Somfy wireless RTS remote control handsets. 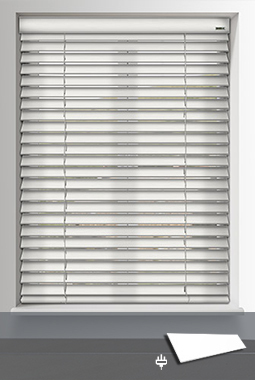 Available at a maximum width of 180cm with a maximum drop of 100cm and a maximum drop of 200cm with a maximum width of 120cm the super efficient 12V DC integrated low voltage electric drive units have multiple power options including reloadable battery tube, rechargeable battery tube, Plug-in AC/DC power supply or our ever popular solar power pack. 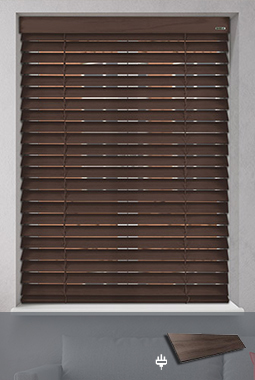 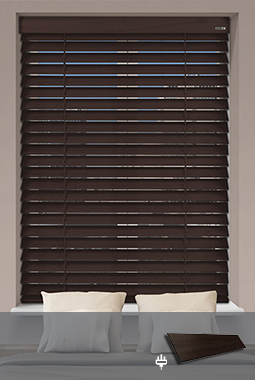 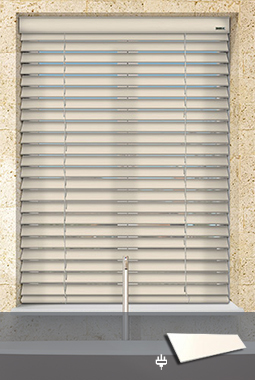 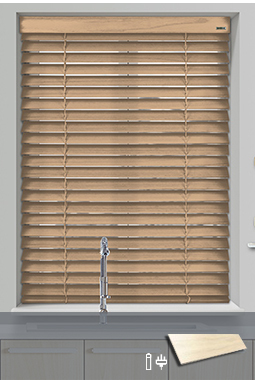 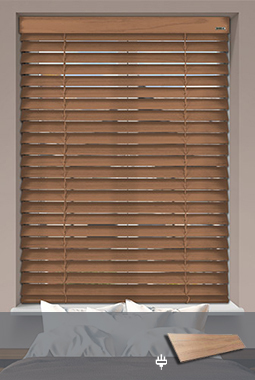 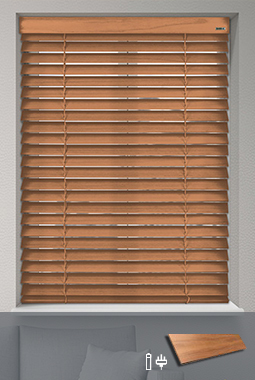 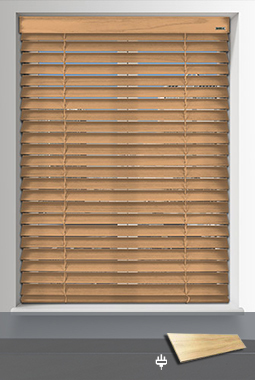 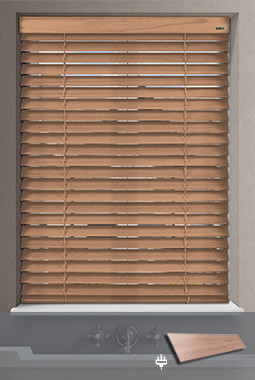 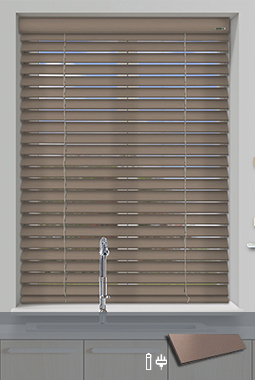 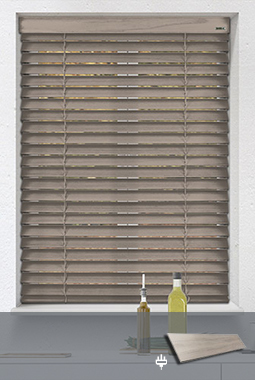 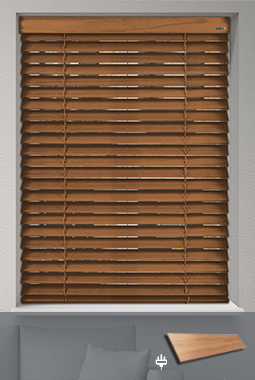 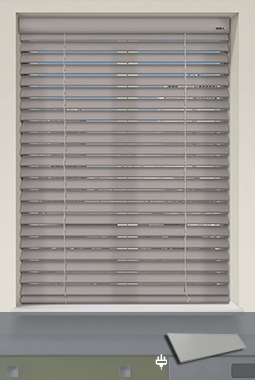 UK manufactured Knightsbridge electric wooden blinds collection of 50mm electric wooden blinds with 12V battery power tilt-only control or high torque ultra efficient 240V AC mains power with fully remote control over raise/lower and wooden slat rotation. 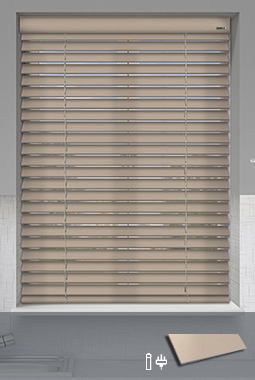 Available in larger sizes up to 236cm wide with a 244cm drop.